Development Property located in the center of Lihue. Located on the West Side of Kaumualii Highway in Lihue. Two parcel piece of land plus one home is on 11.18 acres of combined land. Current zoning of R-20 allows for a possible 200 plus units with County Approval. Planning Department Report available on Development Conditions. 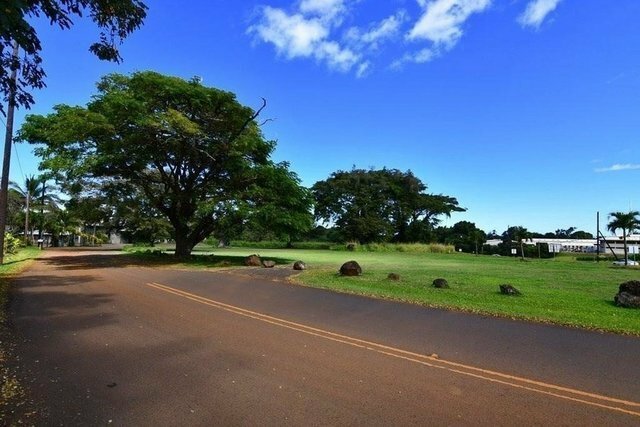 See photos of the location in listing.2.5 Miles to Lihue Airport and Nawiliwili HarborProperty being sold together with TMK 4-3-8-5-22-2, 4.65 acres & TMK 4-3-8-5-22-3, 6.53 acres, totaling 11.18 acres.